Peter was born and raised on the south coast of England. He attended University and went on to enjoy a long career managing bookshops. From that time he began to collect books, a hobby he still pursues. He returned to study at the University of Warwick to gain his qualification to practise as a counsellor and psychotherapist. Over the years he has trained in the supervision other counsellors, couples and relationship work and training other counsellors. He has gained accredited membership of the British Association for Counselling and Psychotherapy and contributed to their research. He was employed part-time in senior counselling roles and part-time in private practice. A combination he still enjoys. In 2009 he immigrated to Australia and joined Psychotherapy and Counselling Federation of Australia. He became Secretary of his local branch and worked towards gaining Clinical membership and then Accredited Supervisor. He is a Supervisor member of Australian Association of Supervision. Moving to Canberra he began training and supervising groups of counsellors. He was elected Convenor of his local branch of PACFA. He was a co-founder and Treasurer of Suicide Prevention Awareness Network – Queanbeyan for three years. 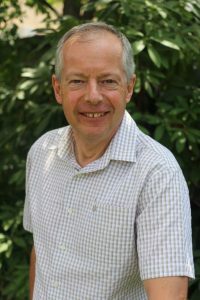 Peter’s practice became based in Sternberg Clinic in July 2018. He is an approved provider for Medibank Private, Australian Unity Health, D’Accord and the National Redress Scheme. He works with adult individuals and couples. Peter is a hopeful practitioner who works to empower and enable his clients to achieve their recovery.